EnRoute is the go-to CNC software solution for everyday cutting, nested-based production, and creative design applications. Our CAD/CAM design software provides a unique combination of 2D and 3D design and toolpath capabilities for CNC routers, lasers, plasma, waterjet and knife cutters. Get the most out of your CNC Router with no large upfront cost. Just a low monthly operating expense gets you every feature in EnRoute software to unlock the full productivity and revenue potential of your CNC Router. Perfect for CNC plasma and water jet machines. 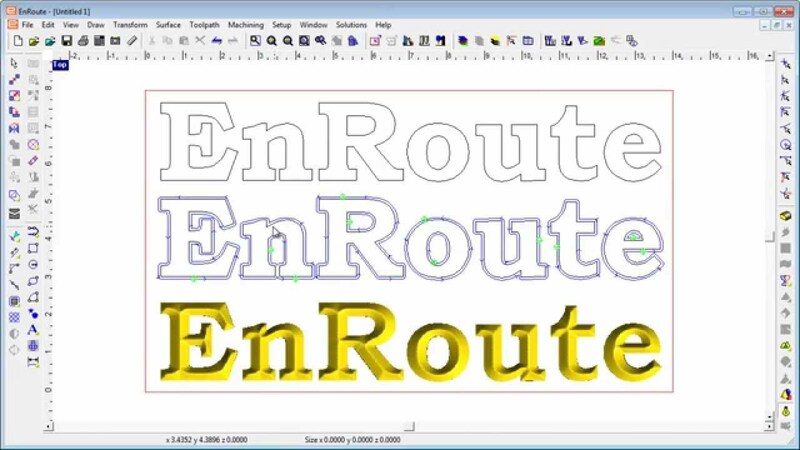 EnRoute Fabrication’s powerful 2D drawing and vectorisation tools make creating decorative and graphic parts simple. It is now easier to create Symmetric Rapid Texture Features. Create interlocking components that can be used to create shelves and other objects. The new simulation engine provides a more realistic view of the finished piece. Right click on a tool button and a short video explaining that tool will play.